We attempt to update our website in a timely manner however neither Route 22 Nissan nor the dealer can guarantee that the inventory shown will be available at the dealership. We cannot be responsible for typographical and other errors, including data transmissions or software errors that may appear on the site. If the posted price, incentive, offer or other service is incorrect due to typographical or other error we will only be responsible for honoring the correct price, incentive or offer. We make every effort to provide you the most accurate, up-to-the-minute information however when you are ready to purchase products or services, it is your responsibility to verify with us that all details listed are accurate. In addition, certain restrictions may apply to some of the offers listed on the website. All data on the website is subject to change. Mid-model-year manufacturing changes, as well as dealer-added accessories on the actual vehicle may differ from the options and features shown. MSRP is provided by the manufacturer for informational purposes only. Actual pricing and vehicle information must be verified by Route 22 Nissan at the time of purchase, and you must present the internet advertisement to the dealer prior to purchase. ROUTE 22 NISSAN MAKES NO WARRANTIES OR GUARANTEES OF ANY KIND, WHETHER EXPRESSED OR IMPLIED, AS TO THE INFORMATION, PRODUCTS OR SERVICES PROVIDED BY ANY INDEPENDENT RETAIL PROVIDER. ROUTE 22 NISSAN DISCLAIMS ANY WARRANTY OF MERCHANTABILITY OR FITNESS FOR ANY PARTICULAR PURPOSE OF THE GOODS AND SERVICES MADE AVAILABLE BY ANY INDEPENDENT RETAIL PROVIDER. ROUTE 22 NISSAN WILL NOT BE LIABLE TO ANY PARTY FOR ANY DIRECT, INDIRECT, SPECIAL, PUNITIVE OR CONSEQUENTIAL DAMAGES SUFFERED, INCLUDING, BUT NOT WITHOUT LIMITATION, DAMAGES CAUSED BY FAILURE OF PERFORMANCE, NEGLIGENCE, OR UNDER ANY CAUSE OF ACTION. NO INFORMATION, PRODUCT OR SERVICE PROVIDED BY ANY INDEPENDENT RETAIL PROVIDER IS GUARANTEED BY ROUTE 22 NISSAN, AND ROUTE 22 NISSAN DISCLAIMS ANY WARRANTY AS TO THE ACCURACY OF ANY DATA PROVIDED BY AN INDEPENDENT RETAIL PROVIDER. THIS DISCLAIMER OF LIABILITY APPLIES TO ANY DAMAGES OR INJURY CAUSED BY ANY FAILURE OF PERFORMANCE, ERROR, OMISSION, INTERRUPTION, DELETION, DEFECT, DELAY IN OPERATION OR TRANSMISSION, COMPUTER VIRUS, COMMUNICATION LINE FAILURE, THEFT OR DESTRUCTION OR UNAUTHORIZED ACCESS TO, ALTERATION OF, OR USE OF RECORD, WHETHER FOR BREACH OF CONTRACT, TORTIOUS BEHAVIOR, NEGLIGENCE, OR UNDER ANY OTHER CAUSE OF ACTION. YOU SPECIFICALLY ACKNOWLEDGE THAT ROUTE 22 NISSAN IS NOT LIABLE FOR THE DEFAMATORY, OFFENSIVE OR ILLEGAL CONDUCT OF OTHER USERS OR THIRD PARTIES AND THAT THE RISK OF INJURY FROM THE FOREGOING RESTS ENTIRELY WITH YOU. NEITHER ROUTE 22 NISSAN NOR ANY OF ITS PARTNERS, AGENTS, AFFILIATES OR CONTENT PROVIDERS SHALL BE LIABLE FOR ANY DIRECT, INDIRECT, INCIDENTAL, SPECIAL OR CONSEQUENTIAL DAMAGES ARISING OUT OF USE OF THE SITE OR INABILITY TO GAIN ACCESS TO OR USE THE SITE OR OUT OF ANY BREACH OF ANY WARRANTY. YOU HEREBY ACKNOWLEDGE THAT THE PROVISIONS OF THIS SECTION SHALL APPLY TO ALL CONTENT ON THE SITE. You agree to hold ROUTE 22 NISSAN harmless from any claims and expenses, including reasonable attorney's fees and court costs, related to Customer's violation of this Agreement, including the Terms of Service or any Content placed on the Site by you. 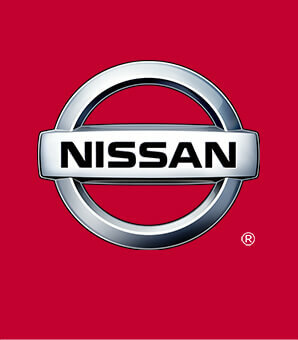 This Agreement constitutes the entire agreement between the parties with respect to the subject matter contained herein and supersedes all previous and contemporaneous agreements, proposals and communications, written or oral between ROUTE 22 NISSAN representatives and you. ROUTE 22 NISSAN may amend or modify this Agreement or impose new conditions at any time.